This banner image was created and used as the leading graphic for a web site in a local sheriff campaign race. It was also repurposed in various support collateral. Yard sign that was also adapted for use in automobile windows and bumpers. 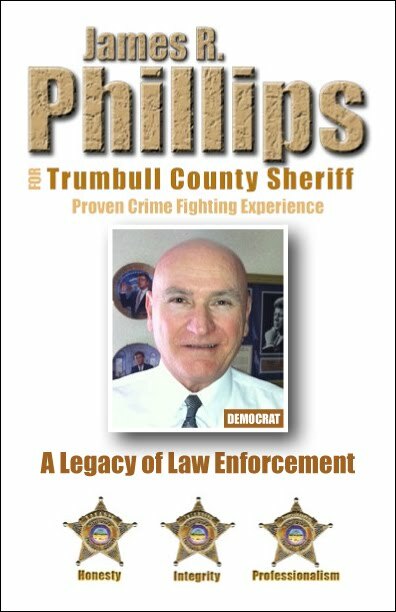 This was a four page brochure that was created to provide background information about the candidate including his experience, education and commitment to the office of Sheriff of Trumbull County. These brochures were distributed at the Democratic Precinct Committee Dinner. Click on the image to the left to see a PDF of that brochure. 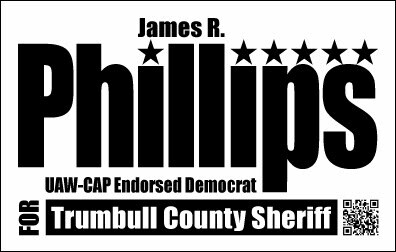 This was a palm card that was created to provide background information about the candidate including his experience, education and commitment to the office of Sheriff of Trumbull County. They were distributed at speaking engagements and fund raising dinners.